High Point: Carl Edwards visited Victory Lane twice in 2014, but it was his road course win ahead of a hard-charging Jeff Gordon at Sonoma that seemed to be his shining moment for the year. Edwards “learned” to drive road courses by watching Gordon race such tracks on television. Apparently, he paid attention. 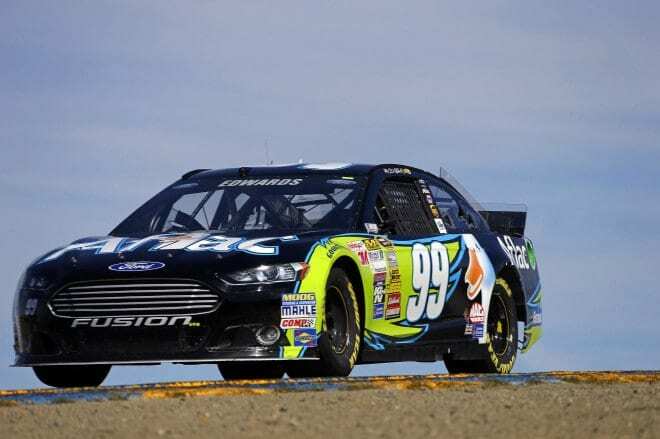 Low Point: A 41st-place finish at Pocono in June was Edwards’ worst run of the 2014 regular season, even though he followed that miserable showing with his win at Sonoma just two weeks later. Another low point would be Edwards’s elimination from the Chase for the Sprint Cup Championship at the end of the second round. Summary: The 2014 Cup season was Edwards’ last with RFR after spending ten years with the operation. While most of the speculation and attention was aimed at his future plans, Edwards still managed to run a fairly competitive season. His two wins earned him a spot in the Chase before his move to Joe Gibbs Racing was even officially announced. 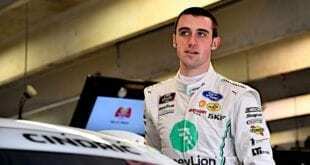 Four top 10s (including his win at Bristol) in the first five events of the year showed that Edwards would be a contender to watch, yet a five-race slump following his Sonoma victory proved that winning the championship could be a struggle. The new elimination-based format relegated Carl to his eventual ninth-place in Cup points. 2015 Outlook: Carl Edwards joins the stable of drivers at Joe Gibbs Racing next season and will be behind the wheel of a Toyota Camry for the first time in his Cup career after a decade with the Ford bunch. Veteran crew chief Jimmy Fennig will not make the switch to JGR and will, instead, be assigned a new position away from the track within Roush Fenway. By moving to JGR, Edwards will be reunited with former RFR teammate Matt Kenseth. Such familiarity, coupled with the brand new Camry and a fresh competitive outlook under the guidance of Coach Gibbs, might just be what the popular Cousin Carl needs to finally nail down an elusive Sprint Cup championship. Previous 2014 NASCAR Driver Review: Dale Earnhardt Jr.
Go. CARL and team 19 !!!! All of usEdheads love you forever !! !